Redefine fun on your next event. Instead of sticking to the usual games and activities, opt for a casino party. 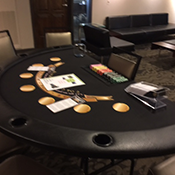 Make this happen by renting the casino party supplies of H-Town Casino Events. 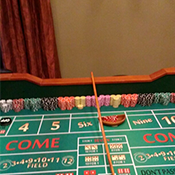 We provide craps and blackjack tables in Houston, TX. We also have Bartenders and DJs make your event more fantastic. Be a star of your very own fabulous party. 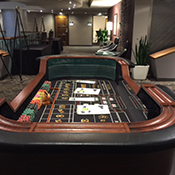 Keep your guests entertained from beginning to end by renting our casino equipment. We will set up all equipment, making sure that your venue looks like a real casino. Dial 713-306-6862 to learn more about the casino services we offer. A Good Mix by Darkluv F.
“We were very impressed with the service provided by H-Town Casino Events. We had a good mix of ball, beer, and bets! The employees were friendly and knowledgeable of all the tricks of the trade.